Indeco was founded in December 1990 as a professional trading company who deal with Laser, Optical Instruments and Optoelectronics components. The company name, "Indeco" is generated by combination of two words "Independence" and "Collaboration". As the derivation of the name, Indeco desires to make a relationship between each supplier of all around the world and Japanese customers. For making this new collaboration Indeco always promise that create new and maximum values for each supplier and customers. Indeco's goal is not to be simple trading company but contribute laser technology innovation in the world. Their skillful sales staff and advanced technical staff will support your business and offer various solutions for you. 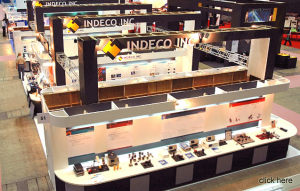 As products lineups, Indeco supply each kind of leading edge products of over 50 suppliers from 12 countries. The various products cover not only researchers in university or government research laboratories, they also cover above listed gmost-watchedh application in industrial field. Clients demand transmits to suppliers quickly and appropriately, then Indeco reaches to best solution for various demands respectively. Indeco contributes new value for both clients and suppliers.